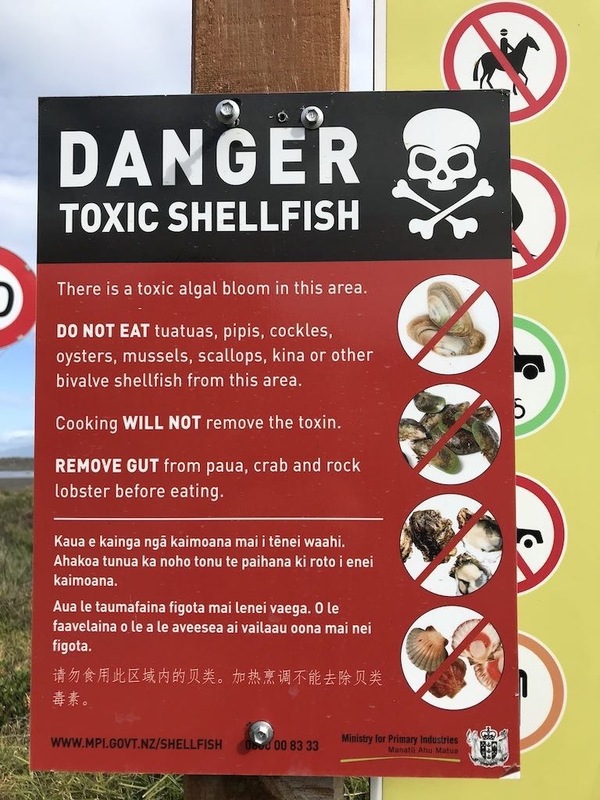 These signs warning against eating shellfish have appeared at Waikawa Beach in the last couple of days. Danger toxic shellfish sign at vehicle entrance. The signs have been put up by the Ministry for Primary Industries (MPI), though the web address shown on the bottom of the signs only leads to an error page. The correct link is shown below. Danger toxic shellfish sign at footbridge. 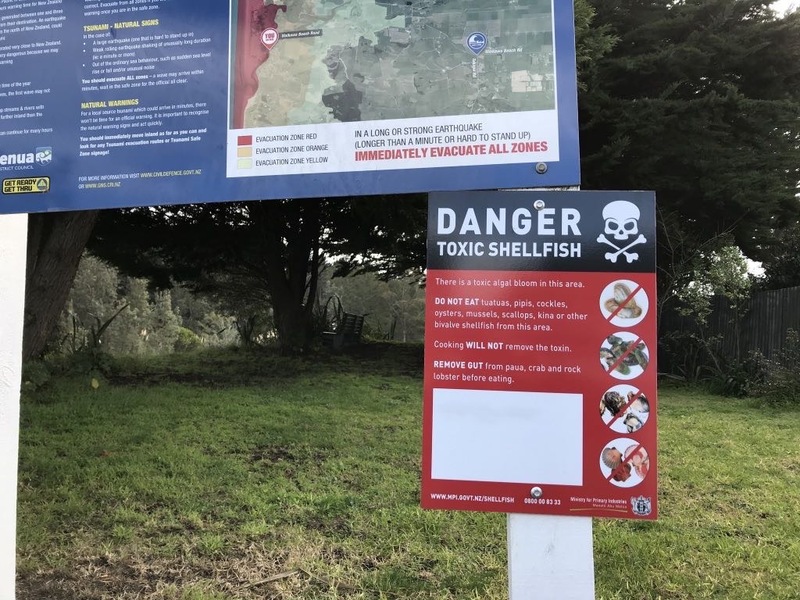 The Ministry for Primary Industries (MPI) today extended the public health warning against collecting shellfish on the west coast of the North Island in the Taranaki, Waikato, Wanganui, Manawatu, and Horowhenua regions. The warning now extends from the mouth of Port Waikato southward to Te Horo Beach in the Wellington region. Source: Shellfish biotoxin alert (extended) – North Island West Coast region.